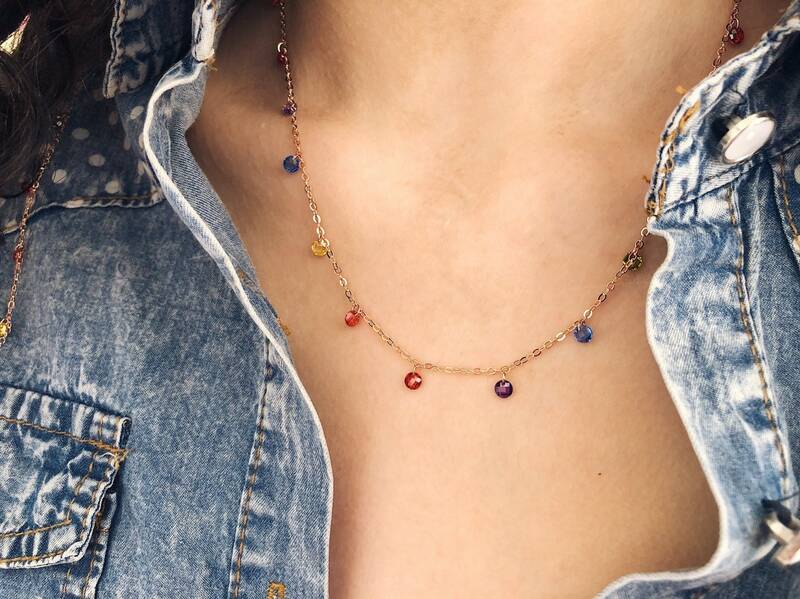 Small beautiful jewels to wear every day and to give as gifts. 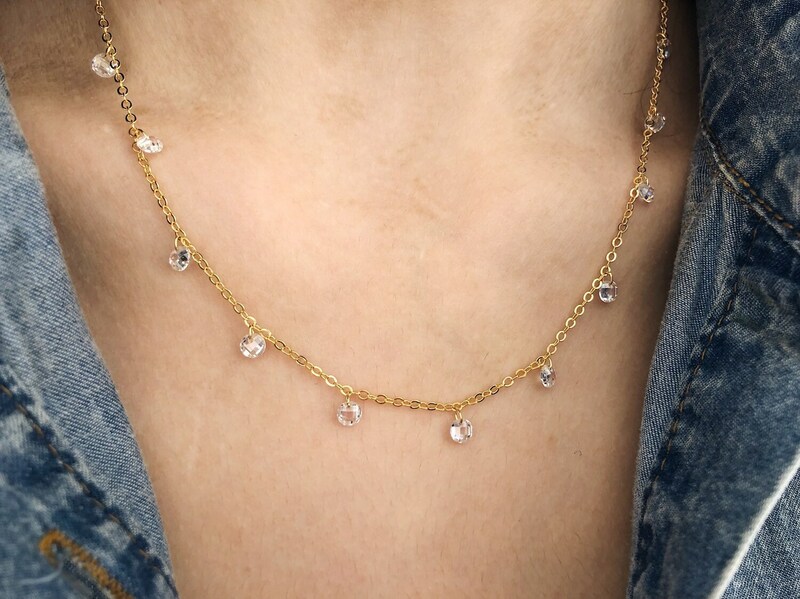 The necklaces on sale are about 45 cm long, a classic choker. 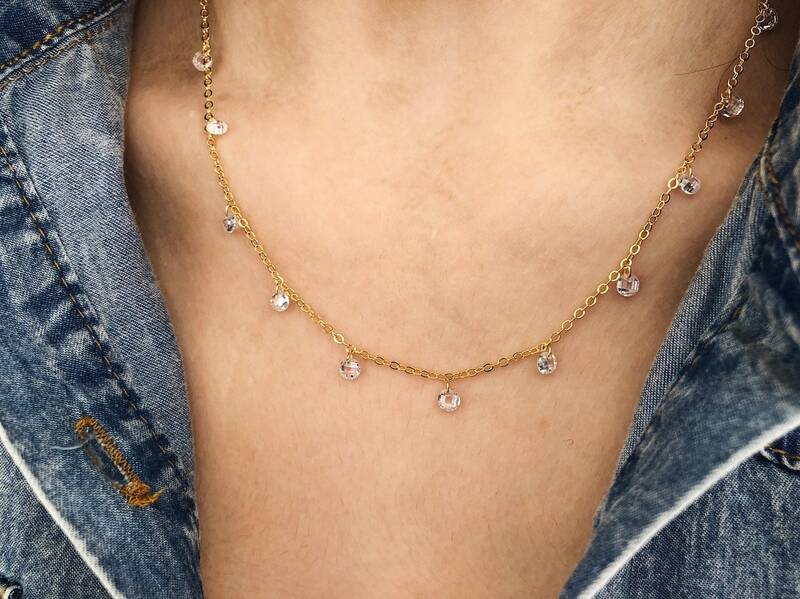 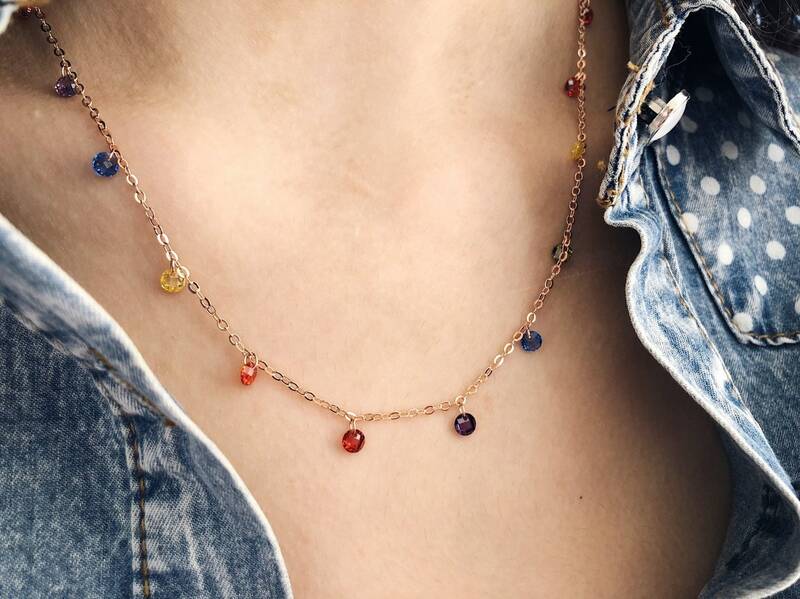 They are made with gold or pink gold wet steel chain and small colored pendent Swarovski stones.